I was so drawn to the beautiful Mayan print of this diaper bag, that I decided to style coordinating mommy and me outfits. I rarely dress Baby P in black, but, when I found this bubble romper at Old Navy, I had instant matching mommy-and-me visions. (TWINSIES!) Much like my jumper, it&apos;s accented by white abstract embroidery, reminiscent of traditional Mayan patterns. We look chic and all in our Mayan-esque ensembles (if I do say so myself), but the real star of the show, and the one item that pulls everything together is most definitely the phenomenal Rebecca Minkoff x The Honest Company diaper bag... You might even say it&apos;s the cherry on top! 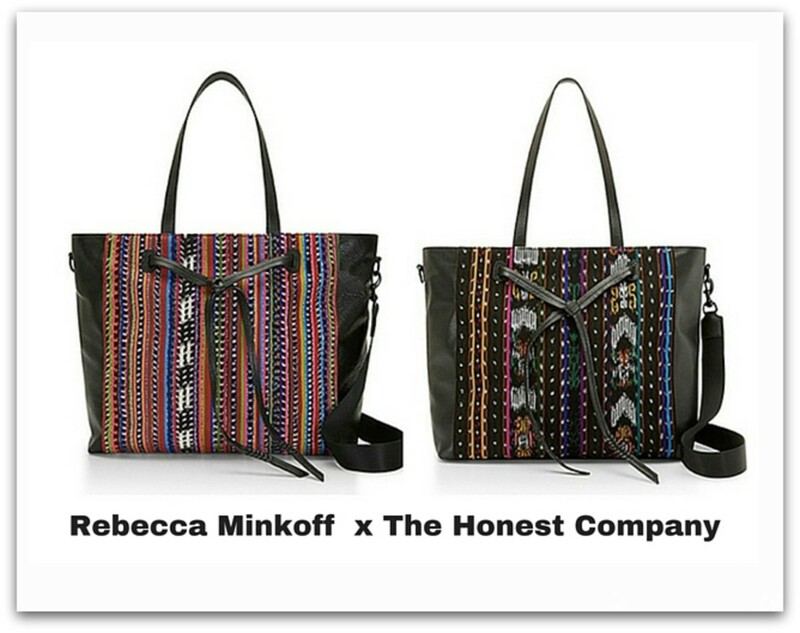 The Rebecca Minkoff x The Honest Company diaper bag is available HERE, $395. This is not a sponsored post. We were given a sample to photograph. All opinions are our own.